If there’s anything The Matrix has taught us, it’s that one little pill can do a lot. Okay, stop right there and don’t get me wrong. I’m not talking about drugs. I’m talking about sleeping pills. 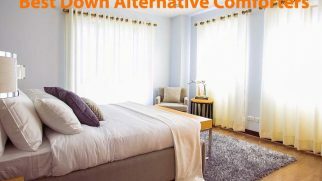 It took me a long time, but I found 7 best over the counter sleep supplements to help you enjoy the sweet slumber every night. Let’s take a closer look at them, shall we? Luna Natural Sleep Aid by Nested Naturals Vegan capsules, natural, non-habit forming. Insomnia, sleep deprivation, stress. Magnesium, L Theanine, Valerian root, Chamomile root extract, Passion Flower whole plant extract, Lemon Balm whole plant extract, Hops flower extract, GABA, Melatonin. Driftoff Soothing Sleep Formula by Zhou Nutrition Vegetarian, non-habit forming, natural. Insomnia, restlessness, anxiety. Valerian root extract, GABA, Tryptophan, Chamomile whole plant extract, Passion Flower whole plant extract, Lemon Balm whole plant extract, Hops flower extract, Melatonin. Natural Sleep Aid by Nature’s Wellness Vegetable capsules, non-habit forming, Happy-Healthy-Humane Manufacture certified. Stress, occasional sleeplessness, insomnia, grogginess. Magnesium (oxide), L-Theanine, Lemon Balm powder, Passion Flower powder, Hops powder, Chamomile, GABA, 5 Hydroxytryptophan, Melatonin, L-Tryptophan, Valerian 4:1 extract. 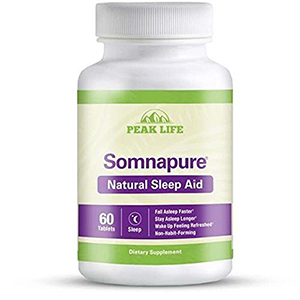 Somnapure Natural Sleep Aid by Peak Life Non-habit forming, non-vegetarian Occasional sleeplessness, restlessness, insomnia Valerian root extract, Lemon Balm leaf extract, L-Theanine, Hops extract, Chamomile Flower extract, Passion Flower extract, Melatonin. This product can surely be called the best over the counter sleep aid for a number of reasons. The most important is the fact that it contains only natural components and does its job well at helping you sleep better. There are 60 capsules in the package, which are in the form of vegan gel capsules. The pills contain natural ingredients, such as Magnesium, L-Theanine, Valerian root, Chamomile root extract, Passion Flower whole plant extract, Lemon Balm whole plant extract, Hops flower extract, GABA, and Melatonin. They don’t form a habit and don’t cause addiction thanks to the natural components. These Luna aids are the best sleeping pills for people who suffer from a light form of insomnia or can’t sleep well because of stress, worries, or anxiety. The formula is quite mild, the components are mostly plant-based, so these sleeping aids aren’t the heavy duty ones. They won’t help with severe cases of insomnia or chronic sleep deprivation. They are a mild supplement to make you calmer and help you fall asleep faster. Finding the sleeping pills that will work for you is completely an individual task. However, I feel like these Luna capsules can be called the best OTC sleep aid, as they really work. 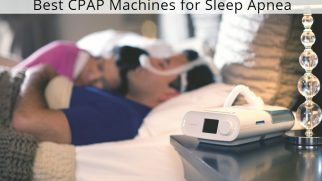 They won’t be able to deal with serious sleep issues, but if you need something. Want to see it for yourself? Click here to order! 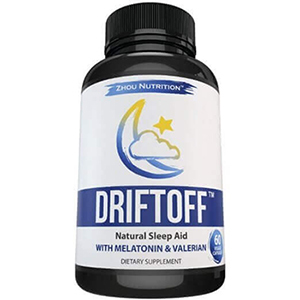 Another contestant for the right to be called the best over the counter sleep supplements are these Driftoff pills by Zhou Nutrition. They are great for relaxation and calming your mind before drifting off to sleep. They have a very mild effect and consist of natural ingredients. These pills are presented in the form of vegetarian capsules. The ingredient list includes Valerian root extract, GABA, Tryptophan, Chamomile whole plant extract, Passion Flower whole plant extract, Lemon Balm whole plant extract, Hops flower extract, and Melatonin. These sleeping aids are perfect for people who aren’t looking for some extreme measures. You are going to love these sleep supplements if you simply need to calm down, relax, and ease your mind before going to bed. 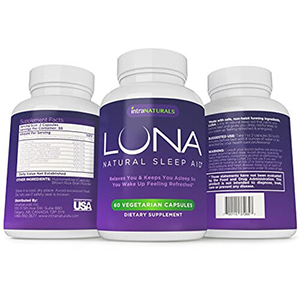 Because the dosage of each ingredient is quite moderate (especially Melatonin, even compared to the previous item on my list of the best sleeping pills, the Luna capsules), these pills have a mild, soft effect. Overall, these sleeping pills pleasantly surprised me. They aren’t a universal remedy, but they did help me calm down and fall asleep peacefully after long stressful days at work. Want to test them out? Click here to order! These pills deserve to be called the best melatonin sleep aid (or at least to be among the best ones) simply because they work. The main ingredient is melatonin, although there are supplementary components, including Dextrose, Microcrystalline Cellulose, Cellulose Gum, Crospovidone, Maltodextrin, Glyceryl Behenate, Sucrose Esters of Fatty Acids, Gum Arabic, Beet Root Extract, Silicon Dioxide, Artificial Flavor, Sucralose, and Menthol. You can choose different strength levels and dosage: 1mg, 3mg, 5mg, and 10 mg. They come in strawberry and citrus flavor. The pills dissolve easily, which provides a faster effect. These sleeping aids are great for people who suffer from occasional sleeplessness and take too much time to doze off. They are also perfect for those who have troubles, trying to swallow the pills, since these Natrol aids are chewable, yummy, and don’t require any water. Overall, this product deserves the right to be called the best OTC sleep aid in its price category. It made me fall asleep faster, even on the most stressful days. 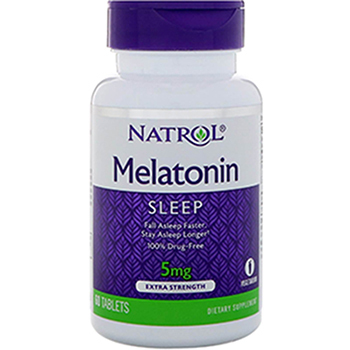 Being simple melatonin pills, this small bottle has all the right to be called the best over the counter sleep aid. These pills are strong enough to send you to sleep but, at the same time, not overpowering or too sedative. The main acting ingredient is melatonin, although other components are also present, such as Cellulose, croscarmellose sodium, stearic acid, magnesium stearate, and silicon dioxide. Each pill has 10mg of melatonin, which is a rather strong dosage. There is no sugar, dairy, soy, salt, gluten, yeast, wheat, artificial flavors and colors, preservatives. To be honest, these sleeping pills managed to pleasantly surprise me. When I was having a stressful day and was feeling nervous before the upcoming events, the Melatonin by Just Potent helped me doze off and sleep all through the night. You might be wondering why I decided to add this item to our list of the best over the counter sleep supplements. Well, the answer is simple: these pills work. Each pill includes a single dose of the active ingredient Doxylamine Succinate (25 mg). Doxylamine Succinate doesn’t cause people to develop any tolerance to its effects. This ingredient is an antihistamine, which has a sedating effect. The inactive ingredients include dicalcium phosphate, FD&C blue #1 aluminum lake, magnesium stearate, cellulose, and sodium starch glycolate. These sleeping aids are a great option for people who need to use them more frequently. Because Doxylamine Succinate isn’t an ingredient that causes people to develop any tolerance to its effects, it will work effectively every time. To be honest with you, the first time I tried these pills they seemed like too much to me. So, I reduced the dosage to one pill and managed to sleep all through the night without having a “sleeping-pills-hangover” the next morning. Click here to order and see it for yourself! Another contestant for the right to be called the best melatonin sleep aid are these pills by Nature’s Wellness. It’s worth noting that melatonin isn’t the only active ingredient in these capsules, maybe that’s why they are effective. The ingredients include Magnesium (oxide), L-Theanine, Lemon Balm powder, Passion Flower powder, Hops powder, Chamomile, GABA, 5 Hydroxytryptophan, Melatonin, L-Tryptophan, and Valerian extract. The pills are natural and don’t form a habit. The manufacturer offers their Certified Happy Guarantee, which means you can get a full refund for your first bottle. 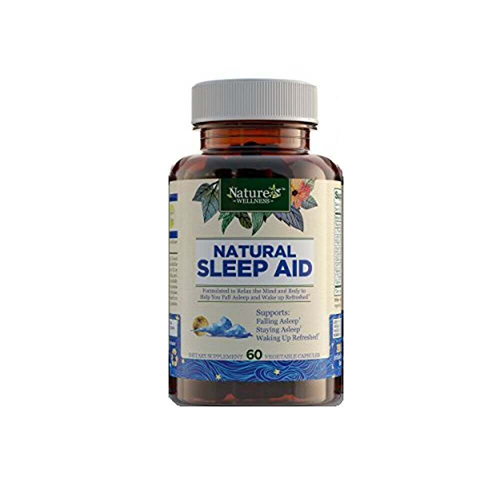 Because this sleeping aid is natural and doesn’t have an extremely strong effect, it is perfect for people who need to fight occasional sleeplessness. Don’t get me wrong: the dosage of each ingredient is higher than in the majority of natural sleeping pills, so Nature’s Wellness capsules do work, just not in serious insomnia cases. Overall, I am rather happy with these pills’ performance. They helped me calm down and doze off without making me feel lethargic or groggy the next morning. Have you made up your mind? Click here to order! The Somnapure pills deserve to be called the best over the counter sleep aid for a reason. They are effective and don’t cause any unpleasant consequences in the morning, like feeling lethargic or drowsy. 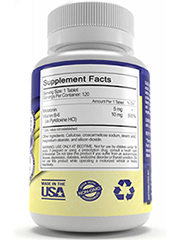 The main active ingredients are Valerian root extract, Lemon Balm leaf extract, L-Theanine, Hops extract, Chamomile Flower extract, Passion Flower extract, and Melatonin. These pills are not vegetarian and might contain some traces of allergens, so you should be careful if you’re allergic to some ingredients. 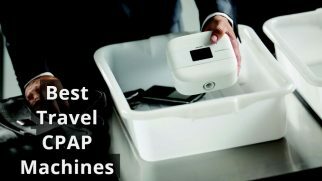 The manufacturer offers a free 2-week sample trial. Having a mostly natural formula, these sleeping aids are a great option for people who require a mild effect and don’t suffer from any serious sleep issues. The Somnapure pills will be perfect for dealing with occasional sleeplessness and stress. Overall, these sleeping aids didn’t disappoint me. Though not instantly, they did help me fall asleep every night without fail. Taking medicine without it being prescribed by your doctor can be a risky business. Chamomile extract. This traditional herbal remedy is an effective natural component, which helps sleepers relax and calm their minds. It has a mild effect and doesn’t cause any negative consequences because of its natural origin. Valerian extract. This is another herbal remedy that has a soft influence and works mildly on the sleepers. This component can be found in numerous sleeping aids, mostly the natural ones. Melatonin. This a hormone produced by the brain and serving to regulate the circadian rhythms and the sleep process. Its synthetic substitute is widely used as the active ingredient in sleeping pills and works rather effectively in mild cases of sleeplessness. Insomnia is a serious problem. While occasional restlessness can be dealt with by using mild sleeping aids or some other methods of relaxation, chronic sleeping issues require more attention. Difficulty staying asleep all through the night. Not being able to fall asleep for long periods of time. Difficulty falling back to sleep after waking up during the night. Feeling tired, lethargic, or fatigue in the mornings. Experiencing mood swings, irritability, or even aggression. Consult your doctor first. You don’t need your doctor’s permission to start taking over the counter sleeping pills. However, it’s always a wise idea to simply talk to a professional. Your doctor might recommend you some good options or warn you about the sleeping pills’ interaction with other medications you take. Don’t get too much into it. Take just one pill one day at a time. Over the counter sleeping pills are a temporary solution and they can’t help with serious health issues and chronic insomnia. Don’t forget about the precautions. Some sleeping aids aren’t suitable for people with certain health problems, so make sure you do your research first. Avoid drinking alcohol. Alcohol can increase the effect of the pills and make them stronger and more sedative, which can result in unpleasant circumstances. Try to avoid drinking too much caffeine and alcohol. Use essential oils for relaxation, for instance, lavender, rose, or Ylang-ylang. Exercise regularly or at least take regular walks in the fresh air. Avoid bright screens before your bedtime. Keep your room dark when it’s time to sleep. These simple steps can improve the quality of your sleep. And who knows, maybe you won’t even need the sleep supplements anymore! 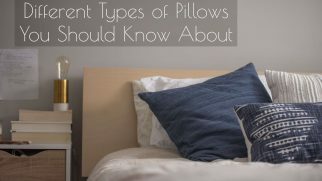 Picking the right sleeping aid for your personal needs is a tricky thing. Everyone has their own circumstances and sleeping issues, so trying to find something that would actually work for you might take some time. I’ve conducted my own experiments in order to help you get the best snooze every night. Are you ready to hear the verdict? The best over the counter sleep aid among the natural ones is the Luna Natural Sleep Aid by Nested Naturals. It has a mild effect and won’t work perfectly well for everyone, but it is great for occasional sleeplessness and insomnia. These herbal pills have enough power to help you calm down and reduce the stress levels. 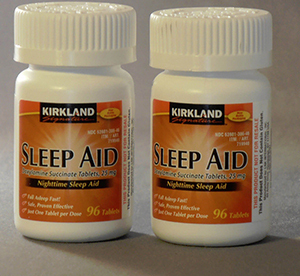 However, if you’re looking for something stronger than a simple herbal remedy, you might want to try the Sleep Aid Doxylamine Succinate by Kirkland Signature Sleep. It is fairly strong and might help with a bit more serious cases of insomnia. These pills sometimes make you drowsy in the morning, so try starting with just one before sleep and see whether or not you need more. Get ready to receive your desired 8 hours of sleep but always be careful with the remedies you take. By the way, have you taken any of these? Which one worked for you? Have you experienced any side effects? Please, let me know in the comments. All thanks to the providers of Luna natural sleep aid. My biggest challenge has be insomnia due to serious stress and anxiety. But these natural pills has left me in the state of sleeping off at any little quiet moment i have. No side effect on me for now, unless am yet to see one.